For those who suffer with Multiple Sclerosis, often times the only viable treatments that curb symptoms have to be delivered via painful injections. The relapsing-remitting form of the disease — the most common among those who suffer from MS — is marked by periods of intense symptoms, followed by remission periods, which get increasingly shorter as the disease progresses. In order to treat the disease, doctors prescribe disease-modifying and interferon-based drugs to extend the remission periods. While many of these drugs are indeed effective, the injection used to administer many of them make patient compliance difficult. Now, however, Tecfidera — one of the most prescribed drums for relapsing-remitting Multiple Sclerosis worldwide — has been developed in a twice-daily pill form. Currently, the drug is being tried out by approximately 35,000 MS patients worldwide, with a recent report that the UK’s NHS has also licensed the drug, meaning that British Multiple Sclerosis patients will soon have the opportunity to utilize the drug as well. 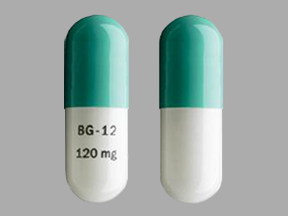 Tecfidera is the brand name for the MS drug dimethyl fumarate, which has been conclusively shown in multiple clinical trials to reduce the rate of MS relapses by more than 50%. More importantly, the treatment helps to delay disability progression caused by the disease by over 20%. This is significant because the next stage in MS after relapsing-remitting — secondary progressive Multiple Sclerosis — is no longer marked by periods of symptom-free remission, but rather patients must endure the symptoms of the disease persistently. Tecfidera did not start out as an MS drug — it was first developed as a treatment for the skin disease psoriasis. However, during its clinical phases, researchers came to realize that the drug had a positive impact on MS sufferers as well — a kind of discovery that is often made in the drug development process, and why one drug often can multiple diseases. Interestingly, researchers are not exactly sure how the drug works on Multiple Sclerosis patients. However, research has shown that Tecfidera ultimately aids cells in the body in defending themselves against Multiple Sclerosis, which acts in the manner of an autoimmune disease, attacking brain and other critical cells in the body. While Tecfidera is a proven treatment for relapsing-remitting MS, the injections make it more difficult for patients to remain on schedule with their doses. Like so many other drugs, patient participation in ensuring that the drug is consistently administered is vital to its effectiveness. The development of the pill form of the drug is not just a mere convenience — it may in fact come to dramatically improve Tecfidera’s overall efficacy, and further establish it as the go-to treatment for relapsing-remitting MS.